This week we examine the topic of troubleshooting homebrewed beer. Despite the best laid plans of mice and men, not every beer you brew is going to be a homerun. Homebrewing beer is a combination of both art and science, and sometimes the art or science goes wrong. Fortunately all is not lost, for each bad batch is an opportunity to learn how to diagnose and improve your next batch. Assuming you’ve already taken the time to carefully design your beer and match the target style, the next thing to examine is the taste of your beer. Beer troubles each have their own unique signature which you can evaluate using the guide below. Excess bitterness in your beer is usually perceived on the back of the tongue, and often manifests itself as a bitter aftertaste. If bitterness is too low the beer often will have a very malty, sweet or grainy profile. Some beers such as IPAs require high bitterness, while others such as Scotch and many German ales require a malty profile. Excess bitterness is created by overuse of boiling/bitterness hops, long boil times, the use of black or roasted malts, and the use of alkaline water or water with excess sulfates. Conversely low bitterness can result from a low bitterness to gravity ratio, too little hops, malty grains such as Vienna and Munich malts, short boil time or high fermentation temperatures. Filtration can also reduce the bitterness of your beer in many cases. Body is often referred to as mouth-feel or the thickness of the beer. Full bodied beers have a well rounded thick feel to them while light bodied beers have a thin profile. I recently wrote a complete article on how to enhance the body of your beer. Some techniques include adding caramel, crystal or carafoam malts, lactose, malto-dextrin, adding more malt overall, adding wheat, increasing the mash temperature of your beer and fermenting at a lower temperature. 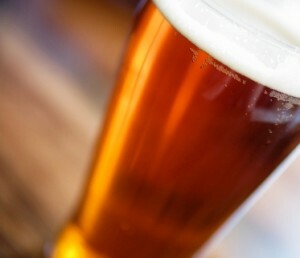 Conversely thin beers can be created by reducing additives, adding rice or sugar, decreasing mash temperature and fermenting at higher temperatures. Diaceytl flavor comes through as a buttery or butterscotch flavor. It is most often caused by incomplete fermentation. Potential causes include an old or undersized yeast starter, lack of oxygen in the wort before fermentation, lack of yeast nutrients, bacterial contamination or use of excessive adjuncts such as corn or rice that lack proper nutrients. Finally, if you prematurely halt fermentation by suddenly raising or lowering temperature, adding finings too soon or choosing a yeast with very high flocculation you can get a distinct butterscotch flavor in your beer. You can counteract diceytl by starting with an appropriately sized yeast starter, making sure your wort is properly oxygenated before fermentation, avoiding contamination and making sure a majority of your grain bill contains fresh barley malt. Barley malt naturally has the nutrients needed for proper yeast growth. The alcoholic profile of a beer is most often perceived as a warm sensation in the mouth and throat. Different styles obviously require different alcohol profiles as indicated by the starting and ending gravities in the BJCP Style Guide. Ideally a beer should have a balanced profile that compliments the overall flavor. Fusel alcohols leave a solvent like flavor in the beer and are most often produced by fermentation at excessively high temperatures. Fermenting in the recommended range for your yeast can mitigate any solvent-like fusel flavors. Overall alcohol balance can be controlled by adjusting your original gravity to match the style of beer as well as taking proper care in fermentation to make sure the wort is properly aerated, pitched and kept within the recommended temperature range during fermentation. If there is a significant mismatch between the alcohol content and body of the beer, you can also look at adjusting the body of the beer (described above) to better balance your recipe. An astringent flavor comes across as grainy or a raw husky flavor. In some cases it may be dry or similar to the flavor of grape skins. Astringency is most often caused by oversparging your grains or boiling your grains. It can also be caused by sparging with excessively hot water (over 175F), excess trub in the wort, and overmilling of your grains. You can minimize astringency by proper milling, sparging and a good rolling boil when brewing your beer. Phenolic flavors are perceived as a medicinal or band-aid like flavor that can be quite harsh. It also sometimes is perceived as plastic, smokey or clovelike. Strong phenolic flavors can make the beer harsh or even undrinkable in some cases. Phenolic flavors, like astringency, can be caused by oversparging or boiling your grains. In addition the use of chlorinated tap water or presence of bacterial contamination can also cause phenolic flavors. Excessive use of wheat malts or roasted barley malts can also lead to clovelike flavors. Check your equipment and bottle caps for leaks and potential contamination, carefully control your sparging process and use an alternate water source if needed to mitigate phenolics. DMS flavors and aromas come across as cabbage, rotten eggs or a sweet cornlike aroma. Excess DMS can spoil your beer. DMS has many potential causes. These include high moisture malt (especially 6 row), bacterial contamination, oversparging at low temperature (below 160F), and underpitching your yeast. Covering your pot during the boil can also create DMS. Storing malt in a cool dry place, care when sparging and boiling, and a proper yeast starter can help to mitigate the ill effects of DMS. Sour and acidic flavors may be perceived as a bitter, cider-like, lemon-juice or sour candy flavors usually at the side of the tongue. One primary cause of sourness is contamination due to inattention to proper sanitation. The use of excessive sugar, particularly refined sugars used by many beginners can also introduce a sour cider-like flavor. Other causes include the addition of excessive ascorbic acid, introduction of bacteria or contamination, excessively high fermentation temperatures and storage of the beer at very warm temperatures. I hope this week’s beer troubleshooting guide will help you diagnose common brewing problems and their causes. Portions of this article were derived from the troubleshooting page on BrewWiki. Thanks again for visiting the BeerSmith Home Brewing Blog. Please consider subscribing for weekly delivery and keep your comments and emails coming. I have been brewing for several years, mostly the old fashing way. Recently, I went to a three kettle system with a pump, which is working great. I noticed in the last three brews, when I oxygenate, I get an usual amount of foam. How ever, the beer has turned great. Should I be concern with this foaming issue? I would like to know if there is any thing I can to prevent excessive foaming during oxygenation. Any advise appreciated. I brewed a pilsner (high gravity) and it tasted great at transfer to secondary. I had it in the fridge for a total of 6 weeks between primary and secondary. (With a rest in the middle). Problem is when I went to keg it, it has a butterscotch flavor. I left the keg at room temp for a week to see if the yeast would clean this up. I have not tried it since.Besides waiting is there anything else I can do? Hey Brad, my last brew of amber malt turned out extremely cloudy, almost like a wheat beer. The foaming is non stop and the taste not that good. The beer almost looks as if it’s a brown cloud. My first batch of amber malt was great. Do you have an idea what went wrong or possible causes that would cause this? Started brewing this year and have made 8 cases thus far, really enjoy but now I’m nervous. Could it have been bad yeast. Using kits from monster brew co.
Hard to tell exactly where the problem is. Sanitation could be an issue. Also excessive foaming could be caused by incomplete fermentation – either due to older malt (dry malt for example sometimes is oxidized) or insufficient yeast. I would watch your sanitation on the next brew and make sure you have fresh ingredients. A film has formed on the surface of my beer at the end of fermentation but the beer tastes fine. What causes the film? I recently brewed my first batch of a chocolate stout at one of “U Brew” shop. The problem is when I try to pour a glass, it completely foams up. Then when I drink it is flat with is zero carbonation left. The flavor also is not right. Any way to recover? My first two batches had slight bitterness. I looked into my local water, and it is indeed very alkaline and high in excess sulfates. I’ve rectified that, batch 3 will be served soon. Thanks for the conformation. I brewed a sweet stout and it was coming along nicely. Still green but tasted of coffee soaked bread. Tested it today (11 days in primary) and it smells like green apples and tastes sour. Not overly sour but defientily sour. What did I do wrong? I just finished brewing a light bock and it doesn’t seem to have a lot of depth of flavor. It was a bit under carbonated and one friend said it was a bit sour but I didn’t think so. My only problem is that the flavor is a bit malty/sweet and just OK but just that, OK. Suggestions? Hello we made a batch of home brew over the weekend , and it’s not fermenting..what could be the problem ?? We never had this problem before I was wondering if the malt we used wad bad..someone gave it to us in a jug.please help. 1) I just brewed an IPA, smells great, SMR is right on, but my brew lacks that nice “tingle-on-the-tongue” towards the end of the tasting. I force pressure my kegs at 5-8 psi and keep that psi for my pouring pressure, any suggestions on how to get that nice dance on the tongue by those CO2 bubbles? 2) How long should I keep an IPA in my glass carboy fermenting to make sure the yeast are finished cleaning up the beer? My basement stays constant between 65-72 F.
I think I could use some advice from those of you who are more experienced than I. 2 weeks ago I brewed an English Barley Wine beer. I used approx. 5 Kg CPM as well a 1 Kg malt extract & 1kg invert sugar. The volume turned out to be approx. 15L and my OG was 1130. I used Danstar Nottingham dried Yeast and yeast supplement after a week. The supplier assured me the yeast would cope with the high gravity. All seems well. It smells and tastes good. For a light coloured beer it has great depth of flavour, quite a lot of sweetness and an almost syrupy feel in the mouth. The FG, if this is the end, is 1040 and this starts the alarm bells ringing. There is another week of fermentation to go following the recipe but I have just racked the beer for the second time and the yeast was well settled and the beer reasonably clear so I think there isn’t much fermentation left to occur. 1. I was expecting a FG of 1026 (as per recipe) but since my OG was higher than the recipe 1130 instead of 1122 does that mean I should accept a higher FG? 2. How long can I afford to wait to see if the FG does come down? 3. When I bottle the beer do I add primer sugar (& assume the yeast is alive) or do I and add a live yeast and primer sugar culture (& assume the yeast is dead) like they do with Worthington White Shield? Or do I assume the yeast is alive and there is enough residual sugar, in the beer to produce a secondary fermentation, so no need for additional primer? I don’t want to have bottles exploding. Mash grains at 66 °C in 15L treated liquor for 60 mins. Stir & raise temp to 76 °C for 20 mins. Sparge with 77 °C water to a volume of approx. 20L. Weigh hops & tie up in separate muslin bags. Ferment: Hydrate yeast with cooled kettle water & pitch starter at 20 °C. Skim every day. 7 days later: Rack & fine in new FV. Add yeast nutrient & stir. 14 days later: After fermentation is finished, rack in new FV & take FG reading. Prime: each bottle with 1.5g white sugar and bottle. Mature for 8-12 weeks.